Tottenham striker Harry Kane has been named the Premier League player of the month for February. The 23-year-old netted a hat-trick against Stoke in the last round of fixtures as well as scoring the winner against Middlesbrough earlier in the month. 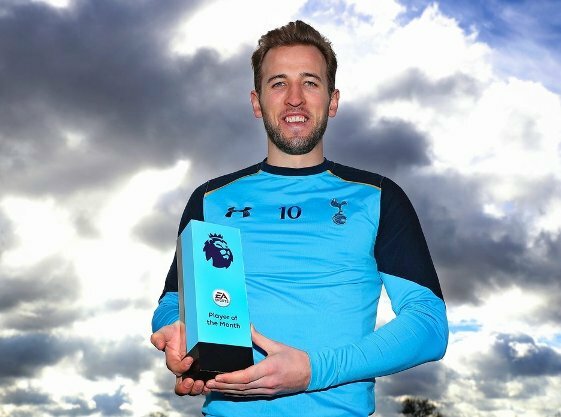 "It's a great honour," said Kane, after picking up the award for the fourth time. "I'm in good form at the minute, I feel confident going into every match." Manager of the month, meanwhile, went to Pep Guardiola. Man City kicked off the month by thrashing West Ham 4-0 in their own backyard before seeing off Swansea at the Etihad. They completed a hat-trick of victories with a 2-0 win at Bournemouth. Chelsea winger Eden Hazard won the goal of the month award for his sensational solo effort against Arsenal.